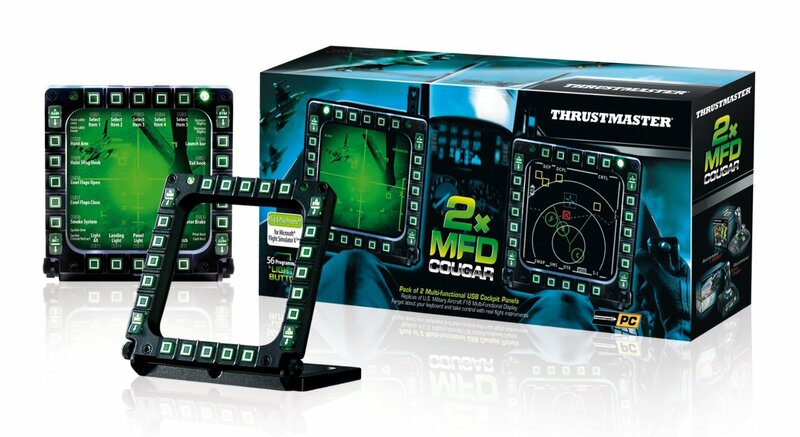 A replica of the U.S Air Force F-16 MFD (Multi-Function Display), the MFD Cougar Pack from Thrustmaster is a 2-pack of multi-functional USB cockpit panels. These are compatible with all flight simulation games (military or civil) supporting multi-USB and make an ideal companion for all joysticks and yokes. 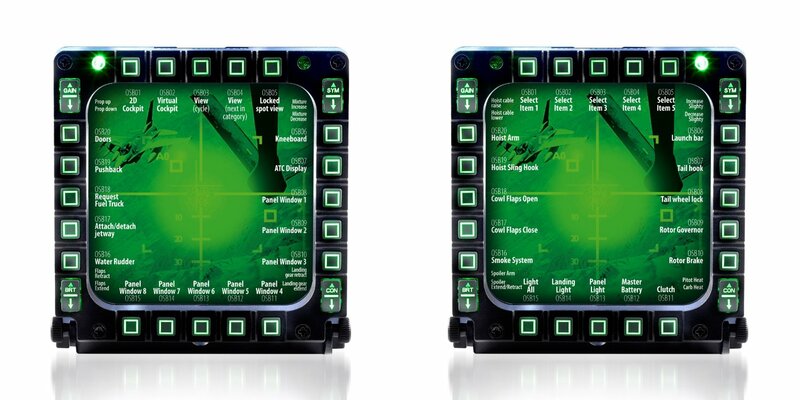 You'll find 20 buttons and four switches per MFD for a total of 48 programmable controls. 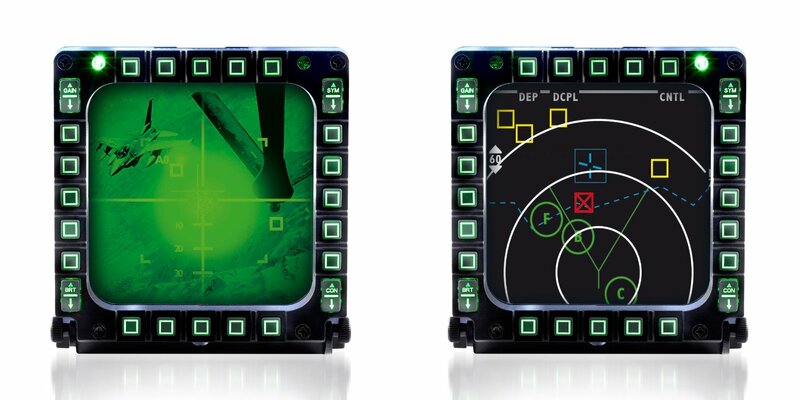 The buttons are backlit with adjustable intensity, through the included software or manually. 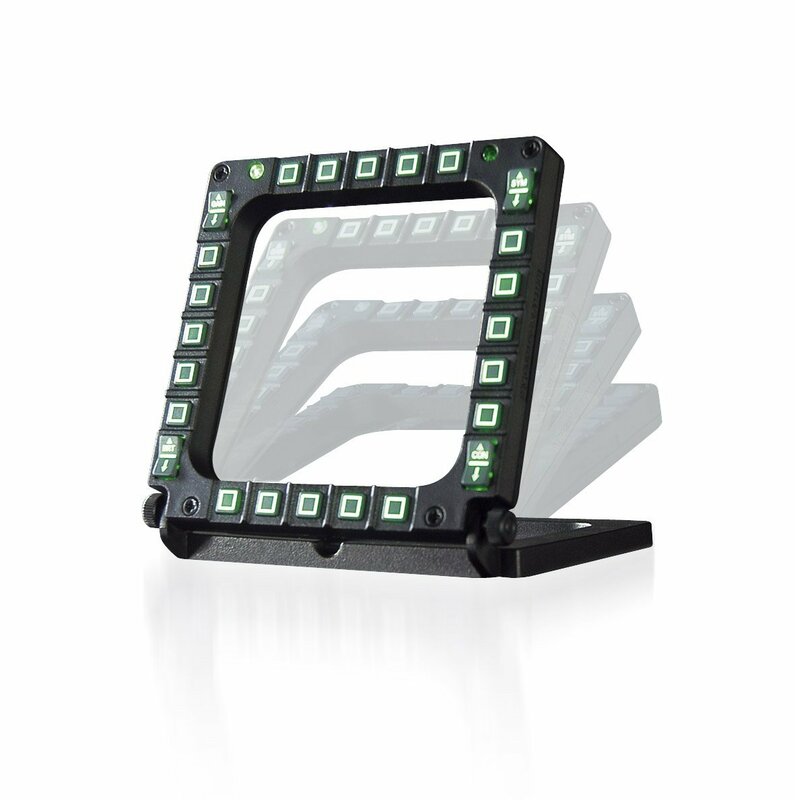 Additionally, two programmable LEDs per MFD allow you to identify the MFD during programming. The non-slip, detachable base is weighted for stability. You'll also find two Plexiglas windows per MFD to insert one of the three pre-printed cardboard layouts with presets for Microsoft Flight Simulator X. Each cardboard layout corresponds to one of your choice presets (Generic, Light Aviation, or Airliner). 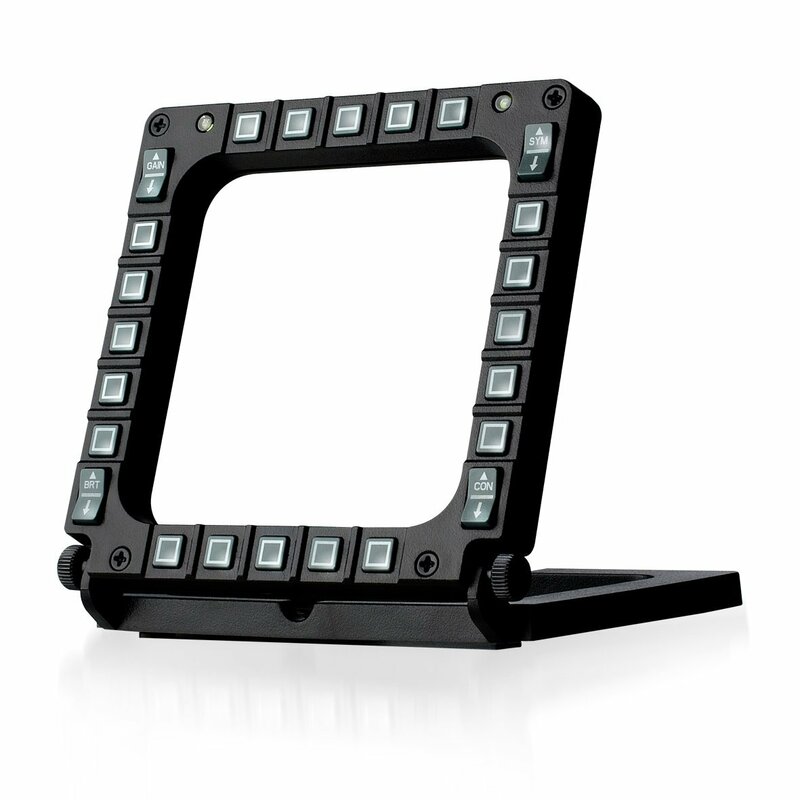 Pros: Actually 3rd party support like MonsterTech mounts allow you to get creative with things like backlighting.